Auditions and casting director information for feature films, television shows, commercials, and print ads. The new Netflix political drama “House of Cards” is now in production in the Baltimore, Maryland and Washington, D.C. areas. The casting directors are auditioning actors in New York, Los Angeles and Baltimore/D.C. for guest starring, recurring, and day player roles. In addition to the acting roles, many extras are being hired throughout the season. “House of Cards” will be based on the BBC miniseries of the same name. That original BBC version was based on a novel from British author Michael Dobbs. Netflix has ordered two seasons of episodes. Canadian beauty Nina Dobrev plays dual roles as Elena Gilbert and Katherine Pierce. CW Television Network‘s mega hit supernatural drama television series “The Vampire Diaries” is now in production on season number 4 in Atlanta, GA. The casting directors are auditioning actors for guest starring, recurring and day player roles in both Los Angeles and Atlanta. In addition to the acting roles, extras are being hired in Atlanta throughout the season. The network has ordered a full 22 episodes that will begin airing in October, 2012. “The Vampire Diaries” is based on the book series of the same name written by L. J. Smith. Bella Thorne stars as the impulsive and street-smart CeCe Jones. It’s a Laugh Productions and Disney Channel are in production on the third season of “Shake It Up!“. The first two seasons consisted of 47 episodes. The show’s casting director is auditioning actors for guest starring and recurring roles. Extras are being hired throughout the season. “Shake It Up!” is ranked as the number one series among Tweens 9-14 and Kids 2-11. The multi-camera sitcom follows the adventures of Cece Jones (Bella Thorne) and Rocky Blue (Zendaya) as they star as background dancers on a local show, Shake It Up Chicago. Cece and Rocky deal with their circumstances, by adapting and maintaining their social status at school. Alyssa Milano stars in ABC’s provocative and thrilling drama “Mistresses“. The new ABC drama “Mistresses” is now in pre-production and Mary Jo Slater is casting recurring, guest starring, and day player roles. The series was created by Gossip Girl writer K.J. Steinberg, based on the hit BBC series of the same name. ABC picked up “Mistresses” as a 12 episode midseason order. In addition to acting roles, extras of all ages and types will be cast throughout the season. Shooting begins on August 7, 2012 in Los Angeles. The show follows four friends as they try to deal with complex relationships and toward a sense of order and enlightenment in their lives. 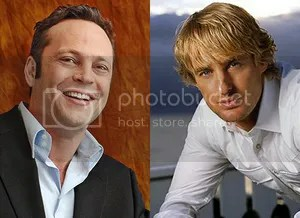 Vince Vaughn and Owen Wilson reunite onscreen for “The Internship“. The Twentieth Century Fox comedy feature film “The Internship” is currently in production and the extras casting director in Atlanta, GA is seeking men and women, 18 years of age and older, all types, any ethnicity to work as background extras on the film. Vince Vaughn and Owen Wilson star as two middle aged men who lose their salesmen jobs and find themselves trying to learn new-world skills by working as interns at Google amongst their much younger counterparts. Filming will take place through the end of September, 2012. Robert Duvall stars as the disagreeable Titus “Red” Bovie. 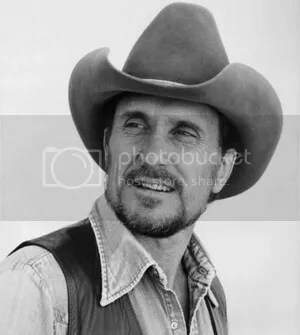 The independent comedy western film “A Night In Old Mexico” starring Academy Award winner Robert Duvall, is holding an open casting call in Texas for both speaking roles and extras. The project is also using the working title of “Skydance”. Shooting will take place in Austin, Texas as well as the Brownsville area, where the open casting call is being held. In addition to actors and extras, Stand-ins and Photo Doubles for lead actors are also needed. Children, teens, adults, and seniors are all needed. Principal photography begins on Tuesday, July 17, 2012. The film tells the story of a cranky Texas rancher who is forced to give up his land and move to a trailer park, and takes a last wild ride with his estranged grandson where both learn life lessons. 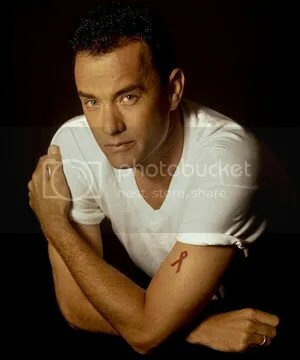 Tom Hanks will play Walt Disney in “Saving Mr. Banks”. The true story behind the 1964 Walt Disney Productions musical film Mary Poppins is being made into a modern behind-the-scenes movie titled “Saving Mr. Banks”. Walt Disney Pictures will begin shooting September, 2012 in Los Angeles and Maryborough, Queensland, Australia. Casting for starring and supporting roles is underway. One very coveted role will be the child actor who plays Mary Poppins author P.L. Travers at 7 years old. Auditions are taking place in Los Angeles, with additional casting in Queensland, Australia. The film’s extras, photo doubles, and stand-ins will be cast in both Los Angeles and Australia.